I wanted to do this for quite sometime. Finally I get around it. 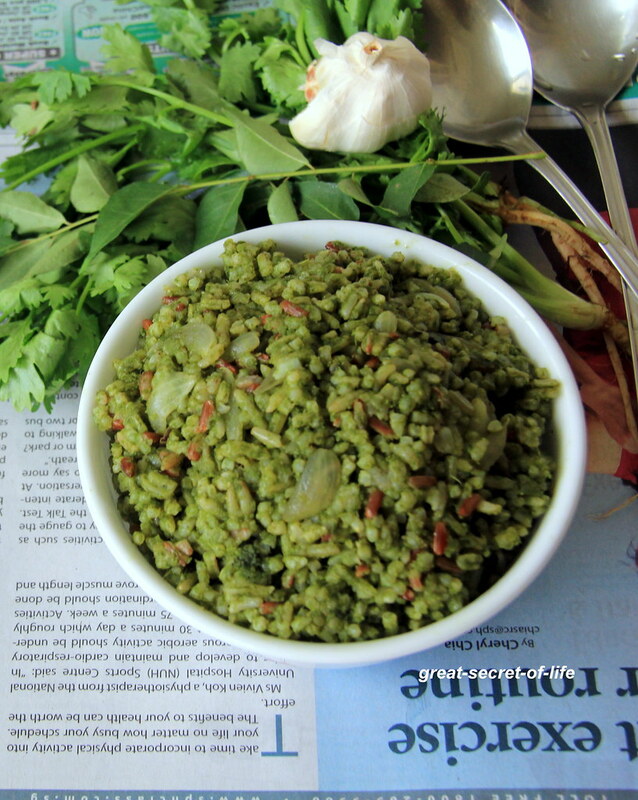 I have posted Coriander rice before. 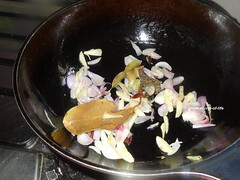 Combining all the three leaves really gives a nice flavour. 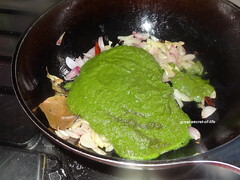 So even if you don't like it individually you should try this..This is also good way to get your kids eat curry leaves. 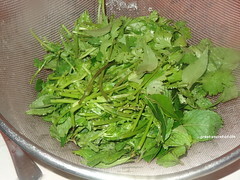 These leaves have lot of health benefits. Making this is really easy and a perfect options for bachelors too. 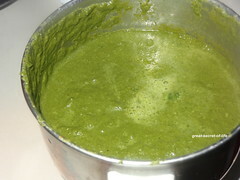 Clean and wash curry leaves, Coriander, Mint leaves. 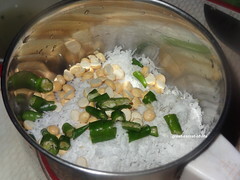 Grind it together with coconut, roasted gram and green chillies and salt. 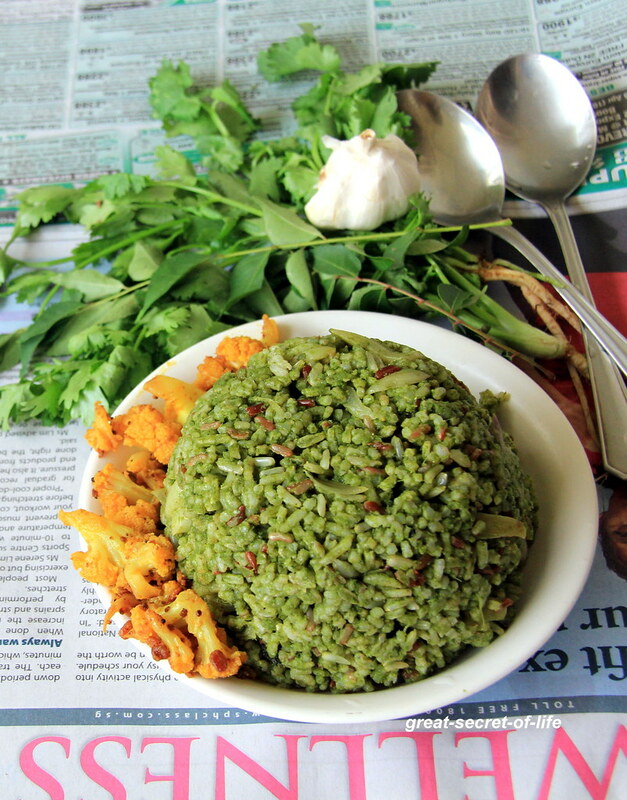 love this green goddess rice. 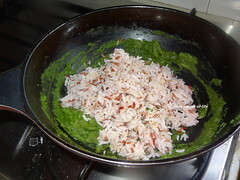 So flavorful rice and healthy with all those greens. Nice one pot meal. 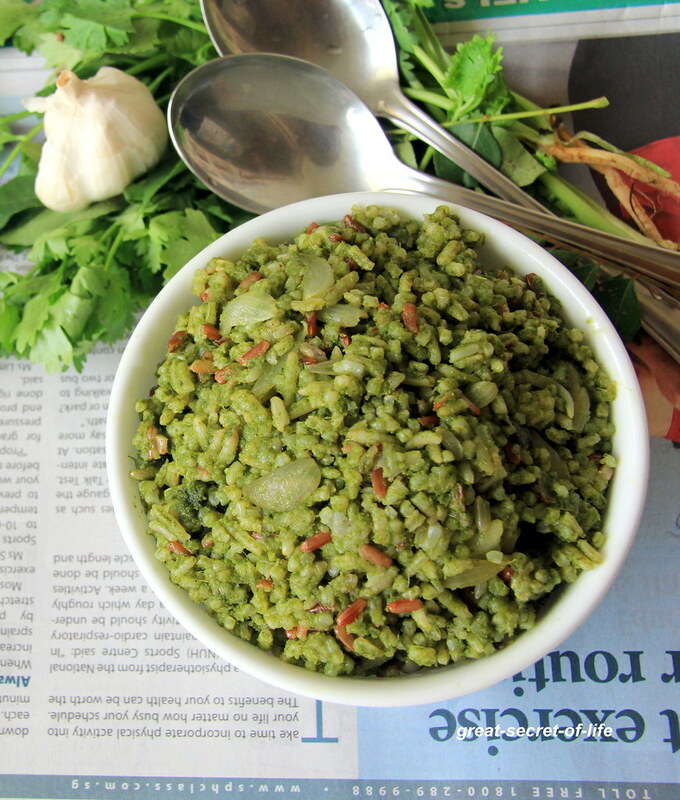 healthy and yummy green rice! !